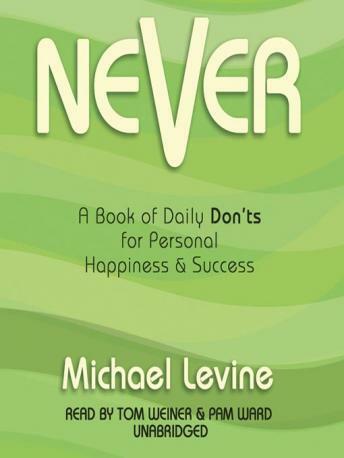 In this deceptively simple yet powerful book, noted author and media expert Michael Levine lays out hundreds of simple admonitions that, when followed, add up to an excellent guide for a happy and successful life. Instead of telling us what to do, Never tells us what not to do in many aspects of life, including business and love, parenting and friendship. Some of the adages are touching; some are humorous; all are valuable maxims for living. Never is a treasury of wisdom to live by, delivered in a warm and welcome tone that will delight and inspire.